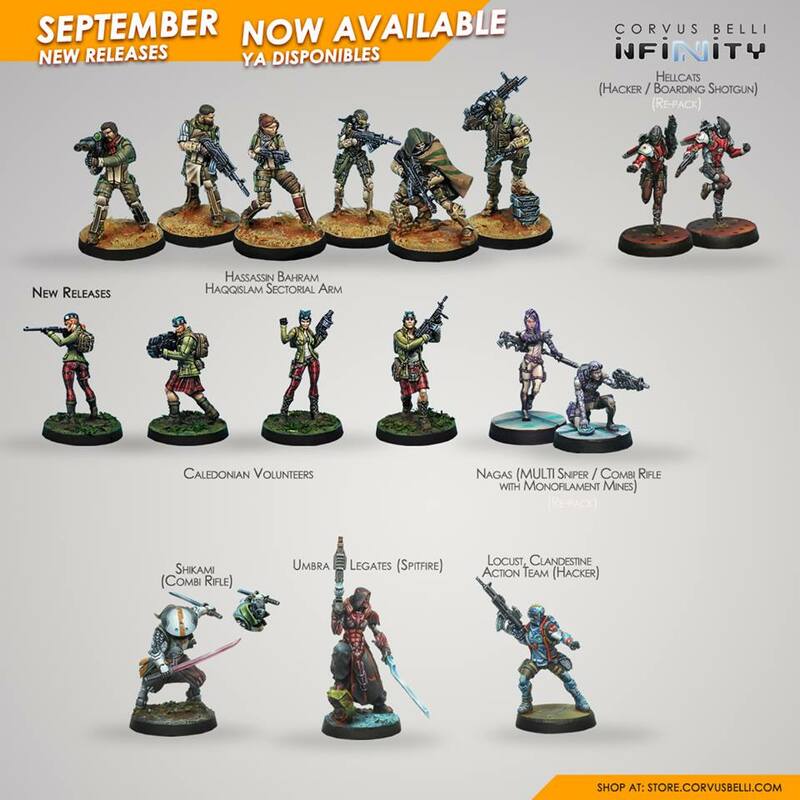 The next batch of releases for Infinity are ready to hit your tabletops. You can head out to your LGS and pick up the new figures, expanding your forces with hot new options like the Nagas, Hellcats, and Caledonian Volunteers. Or, if you're just getting into the game, check out the Hassassin Bahram Haqqislam Sectorial Army Starter Pack. September releases now available at our online store & your FLGS!